You might be thinking of entering the construction industry. One business that you can look into is becoming a brick manufacturer. Bricks are the building blocks of many historical and ancient structures that remain standing after thousands of years and that we continue to admire until now. Read more how you can participate in this timeless and lucrative business. Brick making is considered an ancient art. Bricks stood the test of time and are still being used in modern construction. Ancient people used different kinds of bricks but the result is the same – amazing creations that some were even considered as the Wonders of the World. The pyramids of Egypt were built with from mud bricks while the Colosseum and other Roman structures were made with fired bricks. They can be used practically in any type of structure so that makes a wide range of target market for you. There are also different types of materials that you can choose from to begin your brick business. Besides clay, brick manufacturers also use fly ash, slate, calcium silicate, shale and concrete. Natural stones like sandstone, marble and granite can also be made into bricks. Brick manufacturers differ in materials they use, how they fire the brick and to what degree they are fired. You can use traditional kilns or modern ones to do the firing work. Making bricks is a simple process. You should learn how it is made so you can have an idea how you can set up your manufacturing business. The process starts with mixing sand, water and additives to clay and ground it well. Sand is important so that you can remove the brick from the mold. The mixture is pressed into moulds or you can shape it through a die and then cut up in sizes you desire. The standard size of a brick is 14” x 10” x 4”. The molded bricks are fired in a kiln or oven at high temperatures. Don’t worry if some bricks will be damaged in the process because they can be recycled and reused. Bricks are now refined by technology and machines are available to produce them in mass quantity in less time. You can purchase Do-it-yourself (DIY) machines that can produce as much as 3,000 bricks a day. You must also learn how you will package and manage inventory of bricks that you will produce. 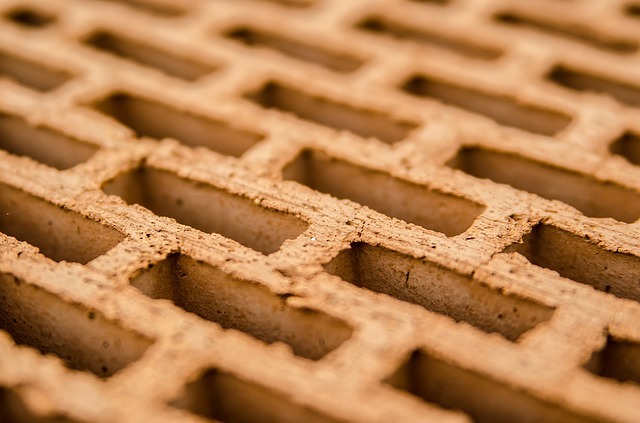 Before you start becoming a brick manufacturer, it would be helpful if you can attend some business courses to teach you how to manage your finances, understand balance sheets, and sell and market your products. It is also essential to come up with your comprehensive business plan to lay out your strategies in terms of production, operations, marketing, hiring staff and raising capital. Your business plan will give you a clear picture of what you want to accomplish in your business. Q. What are the common machines used for manufacturing bricks? A. Different machines used for producing bricks are brick clay mixing machine, brick moulding machine, soft mud molding machine etc. The success of your bricklaying business greatly depends on the workmanship of your bricklayer. Also, you need to consider several things before even starting your business. Owning a BrickKicker franchise is an industry with great demand for the last 20 years. If you think that you are up to owning a BrickKicker franchise all you have to do is get in touch with the Brickikicker National Headquarters. I live in Johannesburg North and need to start a brick manufacturing business but the problem is the location/ site. I also need a list of companies who manufacture the brick making machines. Hi, I live in La PAz Bolivia and would like to start a clay brick business. I need a list of companies who manufacture the brick making machines in order to build my business plan. Are there any key factors that I should take into account? I am interested in setting up a Fly Ash Brick Manufacturing Unit near Kolkata, West Bengal, India. It would be really helpful if you can assist me with a Project Report as well as List of Machinery Suppliers as well as a List of Licenses required. I reside in Mafikeng, North West Province, South Africa, Could you please help me with information regarding establishing a brick manufacturing plant in Mafikeng. Help me with writing a business plan as well as information on funding my project. Hi everyone, I would like to start a brick manufacturing plant in Gujarat, India. If possible, all kinds of bricks. I have capital but I have no knowledge and experience of brick manufacturing business. I would appreciate if someone come up with the business plan with complete details about procuring raw materials, procuring machineries, suitable location, marketing strategy, market potential, etc. I would like to start a brick manufacturing plant in balasore, orissa. pls suggest me, which type of brick manufacturing is cheaper. i.e by coal or by electricity. Please inform me on how to start the brick manufacturing business. How much it cost and what is involved. thank you houston, Tx. Hi, I m basit from Chitral NWFP Pakistan. I want to start a brick manufacturing plant. for the past 2 years i have researched into how to get going. but i am all mixed up with ideas and can not have enough knowledge about how to start this plant. I'll really need ur advice in this regards. thanx Basit Roy, Chitral, NWFP, Pakistan. I want to start a brick manufacturing farm in Imphal, Manipur. I am considering using clay as raw material and Bull's Trench Kiln (BTK)as kiln. But I have no knowledge on BTK or environmentally better kiln. I also do not have any info on how to write a business plan as regards the cost of production. Please give me information on how to arrive at the amount of investment required for the start up. WE planning to be the brick manufacturer. We want setup auto brick industry. please give us the business plan and information about machinery. would like to start brick making in Kenya. Are there specific/ advanced machines available. Hi, I'm from Bangladesh and want to start a brick manufacturing plant. Can you please tell me about, cost, machines, ideas, factors and strategy? Hello, I am from hyderabad India looking ahead to start a small scale manufacturing business and particularly in brick manufacturing. Your assistance to this would be greatly appreciated. Pls get in touch with me. I am interested in setting up a Red Brick Manufacturing Unit in tamilnadu Near tanjore district, India. It would be really helpful if you can assist me with a Project Report as well as List of Machinery Suppliers as well as a List of Licenses required. Hi, I am Winnie from Malaysia I am interested in Brick Manufacturing business, May i know how to start up my small business. Please help me find out how many machine i need to set up? I am from asansol westbengal. I am very much interested in set up of automatic brick plant. Please provide me information about which one is cheaper (mud or flyash)Also total capital required for setup and start of this business. hello i am from kolkata. i want to know about brick plant. process and capital which is required for set up and start up for the business. and new ideas which i apply on this. Sir, please suggest me how can i go for setting up a flyash bricks plant in Anandapur, KEONJHAR, ORISSA. Sir, As i am going to start a business with an investment of rs 5 lakhs and i have already decided to set up a fly ash bricks plant in keonjhar, orissa. i need consultant help for doing everything and i am ready to pay the charges, please intimate the consultants name and their addresses so that i can contact them immediately for starting of my project work. I'm in northern Uganda and would like to start a massive brick making business without using brick making machines. But how can I overcome the challenges of changing whether (especially rainy season) and competition because I want to be the best with a goal to make over 5000 bricks a day. Tell me how to set the price of brick for sale. I want to set up a small ash brick manufacturing unit in Dhenkanal, Orissa, India. Please provide me a brief information regarding machinery, manpower, raw materials and also different cost involved in this regards so that I can start the unit as soon as possible. hi! this is reyazahmad from bihar i am about to start my bricks business, but i am little nervous to expend money, different people gives different opinion regarding expenditure, how much expected cost will come, pls guide me. thanks and best regards. I want to establish a fly ash brick manufacturing plant in the state of Assam, District Nagaon, India please send me a detailed project report on this behalf. we are manufacturers of BUILDWELL BRAND FLYASH BRICKS- BLOCKS-PAVERS MAKING AUTOMATIC PLANTS. OUR MACHINES ARE SUCCESSFULLY RUNNING AT ALMOST PART OF INDIA AND ABROAD.PL. CONTACT US ON flyashbrick@yahoo.com or TEL. 9825225343 Mr. NILESH BHATT - DIRECTOR www.sahjanandenterprise.com ON YOUTUBE JUST TYPE : buildwell brick machine AND WATCH OUR MACHINES VIDEO. Hi I would like to start a business in brick and block manufacturing in the Eastern Cape. I studied Quantity Surveying and I saw the opportunity and need for that kind of business which will suit well contractors and the communities around, I would also like to grow the business by including roof sheeting manufacturing and tile as well as stocking cement and other aggregates like stone and sand. Please help me on how do i go about from implementing the idea and taking the business off the ground. i want to set up a block or brick manufacturing business in the southern district of Botswana. I'm encouraged to start this business after realizing that local manufacturers are unable to meet the increasing demand for local procurement. I'm certain that this would be a profitable business. Please help me with a business plan. Sir, i am from palakkad, kerala want to start hollow bricks unit. So give machinery need for start this business, from where i will get and price. shall i get PMRY Loan for this. Kolkata, barasat, I already have a brick business of mud brick I Wanted to know the procedure, machinery etc related to concrete brick manufacturing and as well as for fly ash bricks. Hi i am from Madras Is the brick manufacturing business profitable. I need assistance towards the complete project & what it would cost to make a single brick & As well should I want to get any license. Hi, Brick Business is a passion for those who want to venture. I run a brick making Company in Kenya, East africa. Any one who is interested in Construction and Legal Consultancy on the same and the types of Machines for start ups to contact me on ksmetto@yahoo.co.uk: this is also with a cost implication to be advised. Hi, I have a client, who wants to sell Export quality FLY ASH. Pl suggest about the buyer in India or Overseas. Sir, I am planning to set up mud brick making plant with capacity 8000 to 10000 /8 hours, please give me information about machine cost & kiln cost. suitability whether import from china or purchase from south India cost comparison & service. Please also provide detailed flow chart of production line from clay to finished goods if possible, near Siliguri wb, india. I want to setup a vibrating/automatic cement brick making plant. so I want more details about manufacturing cost/1000 bricks in size 10"x5"x3" & also want to information about cost of machines. I want to start a brick making business with four friends of mine but we struggling with making a vibrant business plan and business location, if anyone can assist me with how to do a proper market research, registering my business, creating a vibrant business plan and finding proper location for my business please help me. I do have a million great ideas for my business but i just do not know where to start. i m from india , maharashtra state-kolhapur, i want information about wood fly ash manufacturing please send me project report of that. I want to establish a mud brick manufacturing plant in the state of Uttar Pradesh, District Bareilly, India please send me a detailed project report on this behalf. I am from New Zealand and I want to build a large brick manufacturing plant using cow dung as part of the ingrediant mix to make bricks. I also want to fire my bricks using methane gas from cow dung. If you have any information about this method and also how large my production site needs to be, equipment needed to make the bricks e.t.c. This will be very much appreciated. I want to set up a hollow brick manufacturing unit in West Bengal with a capacity of around 5000-8000 brick per shift. kindly assist me with a detail project report including the cost structure. i currently do bricks in ancient style in india, tamilnadu state, nagapattinam district at maathiravelur village anybody wants to give useful tips pls go ahead. I plan on restarting a village based clay brick manufacturing facility in the Volat Region of Ghana West Africa. The facility has not operated in five-years since the owner died. Please give me suggestions on what to look for. I have construction business experience but not brick manufacturing. hey vasanth patel to start with clay is best than fly ash economically i'm saying but i do know about the quality. initially(for the first time) you have to invest 1,50,000 to make 100000 bricks in tamilnadu just u calculate n ur district. hey guys, i am very interesting to start a brick manufacturing unit in haryana. but i don't have any knowledge about how to start it, how much capital it requires to setup a new plant. can i expect hep from you all. I'm going to start fly ash brick manufacturing in LATUR and SOLAPUR in Maharashtra. I am vying all information about manf. machinery, raw material procurement, its tremendous market potential. so i'm in need of financial assistant from some vendor capital agency or NRI who is interested in this eco friendly project. we are planning to start a fly ash bricks unit in bhopal(m.p) i wanted to know that which kind of land is required for this project if i am taking loan from the bank, weather it should be a commercial or farm land kindly let us know at the earliest and oblige. Dear Sir, We are planning to a fly ash bricks unit (machine capacities 6nos.of bricks per impression)in chennai(15Km outer). I want to know that kind of land is required for this project if i am going to bank loan. Please kindly let us know fully project report at the earliest and oblige.Thanks. I have brand new fly ash brick machine which can produce 50000 bricks per day. Machine cost is 90,000,00INR. If interested please contact me for videos and further details. Cost includes full installation, Automatic production line, pallets and project plan and 1 week on site Training. Mob:(+91)8015488870 Thanks. Hi, i want to start a bricks manufacturing company around Lipompo South Africa, may you please help me with the following; how do i go about writing a business plan, how may machines do i need for start, what i really need to get it going. Thanks. Hello, I am from Liberia, and i'm doing a research on bricks manufacturing business. please provide information on that including chart of accounts. thank you. I live in Pretoria, Klipgat in South Africa.I have a land and need to start a brick manufacturing business but do not have money to buy material and need an advice on what type of machines do I actually need.